Awadhesh Kumar Jha, vice-president – Charge & Drive and Sustainability and Erik Tutzauer, Head of Innovation Accelerator. Fortum India, part of the Finland-based clean energy company, and Business Sweden, the Swedish Trade and Invest Council, today launched its innovation challenge, Unnati Change & Drive Innovation challenge. 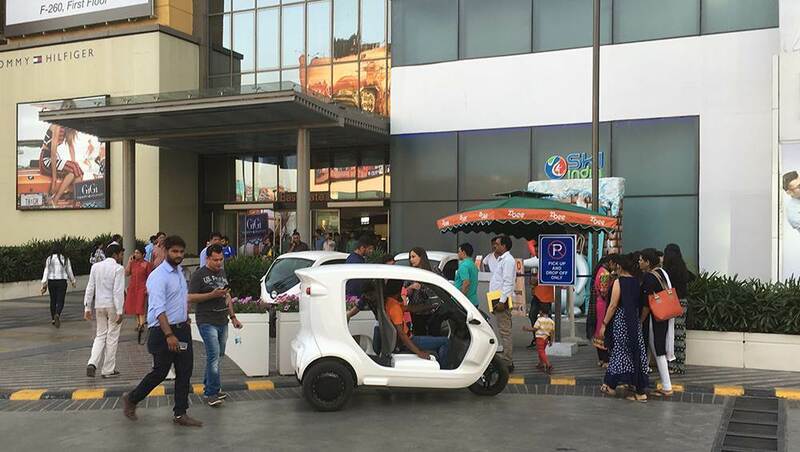 This challenge aims to accelerate electrification of three wheelers in India through jointly developing a battery swap system specially tailored for light electric vehicles (LEVs) in the country. The partners said that taking LEV battery swapping to the next level requires designing digital infrastructure and developing hardware to support a sustainable business model. With an aim to accelerate innovation in LEV battery swapping technology, the Indo-Sweden joint declaration on Innovation Partnership for a Sustainable Future invited entries from researchers and innovators, to work alongside Fortum for developing standard infrastructure for battery swapping in India. The innovation challenge received around 70 entries, out of which 16 have been shortlisted to make their pitch during the three-day event. The challenge is being coordinated by the Swedish Trade and Invest Council, in collaboration with ATAL Innovation Mission - NITI Aayog. The shortlisted participants have been invited to the three-day event starting today in Delhi, Hyderabad and Bangalore respectively to present their ideas to the panel. The inaugural event in Delhi saw eminent speakers gracing the event including Carsten Gronblad, Swedish Trade Commissioner to India; R Ramanan, managing director, Atal Innovation Mission - NITI Aayog; Saloni Malhotra, vice-president, Invest India and Head – AGNIi; Ajay Goel, chief operating officer, Sun Mobility; Awadhesh Jha, vice-president, Charge & Drive, Fortum and Erik Tutzauer, innovation accelerator, Fortum; among others. The panel discussions during the event deliberated on designing digital infrastructure and developing hardware to support a sustainable and customer-centric business model. The challenge winners will receive mentoring from Fortum, and will also be provided with an opportunity to become a commercial partner and a supporter in application of market-oriented R&D funding.